The following terminology applies to these Terms and Conditions, Privacy Statement and Disclaimer Notice and any or all Agreements: "Client", "You" and "Your" refers to you, the person accessing this website and accepting the Company's terms and conditions. "The Company", "Ourselves", "We" and "Us", refers to our Company. "Party", "Parties", or "Us", refers to both the Client and ourselves, or either the Client or ourselves. All terms refer to the offer, acceptance and consideration of payment necessary to undertake the process of our assistance to the Client in the most appropriate manner, whether by formal meetings of a fixed duration, or any other means, for the express purpose of meeting the Client's needs in respect of provision of the Company's stated services/products, in accordance with and subject to, prevailing US Law. Any use of the above terminology or other words in the singular, plural, capitalization and/or he/she or they, are taken as interchangeable and therefore as referring to same. Client records are regarded as confidential and therefore will not be divulged to any third party, other than [our manufacturer/supplier(s) and] if legally required to do so to the appropriate authorities. Clients have the right to request sight of, and copies of any and all Client Records we keep, on the proviso that we are given reasonable notice of such a request. Clients are requested to retain copies of any literature issued in relation to the provision of our services. 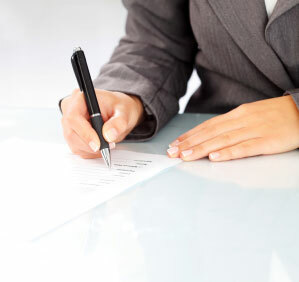 Where appropriate, we shall issue Client's with appropriate written information, handouts or copies of records as part of an agreed contract, for the benefit of both parties. Cash or Personal Check, all major Credit/Debit Cards, Bank Draft or Transfer are all acceptable methods of payment. Our Terms are payment in full within thirty days. All goods remain the property of the Company until paid for in full. Monies that remains outstanding by the due date will incur late payment interest at the rate of 2% above the prevailing Bank of America's base rate on the outstanding balance until such time as the balance is paid in full and final settlement. We reserve the right to seek recovery of any monies remaining unpaid sixty days from the date of invoice via collection Agencies and/or through the Small Claims Court in the event that the outstanding balance does not exceed $3000. In such circumstances, you shall be liable for any and all additional administrative and/or court costs. Returned checks will incur a $25 charge to cover banking fees and administrative costs. In an instance of a second returned check, we reserve the right to terminate the arrangement and, if agreed to, we shall insist on future cash transactions only. Consequently, all bookings and/or transactions and agreements entered into will cease with immediate effect until such time as any and all outstanding monies are recovered in full. Minimum 24 hours notice of cancellation required. Notification for instance, in person, via email, mobile phone 'text message' and/or fax, or any other means will be accepted subject to confirmation in writing. We reserve the right to levy a $30 charge to cover any subsequent administrative expenses. Unless otherwise stated, the services featured on this website are only available within the United States, or in relation to postings from the United States. All advertising is intended solely for the United States market. You are solely responsible for evaluating the fitness for a particular purpose of any downloads, programs and text available through this site. Redistribution or republication of any part of this site or its content is prohibited, including such by framing or other similar or any other means, without the express written consent of Klein Law Group. Klein Law Group does not warrant that the service from this site will be uninterrupted, timely or error free, although it is provided to the best ability. By using this service you thereby indemnify this Company, its employees, agents and affiliates against any loss or damage, in whatever manner, howsoever caused. We do not monitor or review the content of other party's websites which are linked to from this website. Opinions expressed or material appearing on such websites are not necessarily shared or endorsed by us and should not be regarded as the publisher of such opinions or material. Please be aware that we are not responsible for the privacy practices, or content, of these sites. We encourage our users to be aware when they leave our site & to read the privacy statements of these sites. You should evaluate the security and trustworthiness of any other site connected to this site or accessed through this site yourself, before disclosing any personal information to them. Klein Law Group will not accept any responsibility for any loss or damage in whatever manner, howsoever caused, resulting from your disclosure to third parties of personal information. Copyright and other relevant intellectual property rights exists on all text relating to the Klein Law Group's services and the full content of this website. Klein Law Group's logo is a registered trademark of this Company in the United States and other countries. The brand names and specific services of this Company featured on this web site are trade marked [delete this paragraphed clause if no registered trademark exists]. The laws of the United States govern these terms and conditions. By accessing this website [and using our services/buying our products] you consent to these terms and conditions and to the exclusive jurisdiction of the courts in all disputes arising out of such access. If any of these terms are deemed invalid or unenforceable for any reason (including, but not limited to the exclusions and limitations set out above), then the invalid or unenforceable provision will be severed from these terms and the remaining terms will continue to apply. Failure of the Company to enforce any of the provisions set out in these Terms and Conditions and any Agreement, or failure to exercise any option to terminate, shall not be construed as waiver of such provisions and shall not affect the validity of these Terms and Conditions or of any Agreement or any part thereof, or the right thereafter to enforce each and every provision. These Terms and Conditions shall not be amended, modified, varied or supplemented except in writing and signed by duly authorized representatives of the Company. © 2018 Global Supplements All Rights Reserved. Designed and Powered By Inroads.